Dr. Batra's Hair Fall Control Oil manage hair fall effectively. It is enriched with Tulsi extract, Brahmi Oil & Thuja which prevents hair loss & boosts hair re-growth. Enriched with the goodness of Tulsi extract that stimulates the proliferating cells in the hair root. Brahmi Oil strengthens hair roots by providing nutrition. 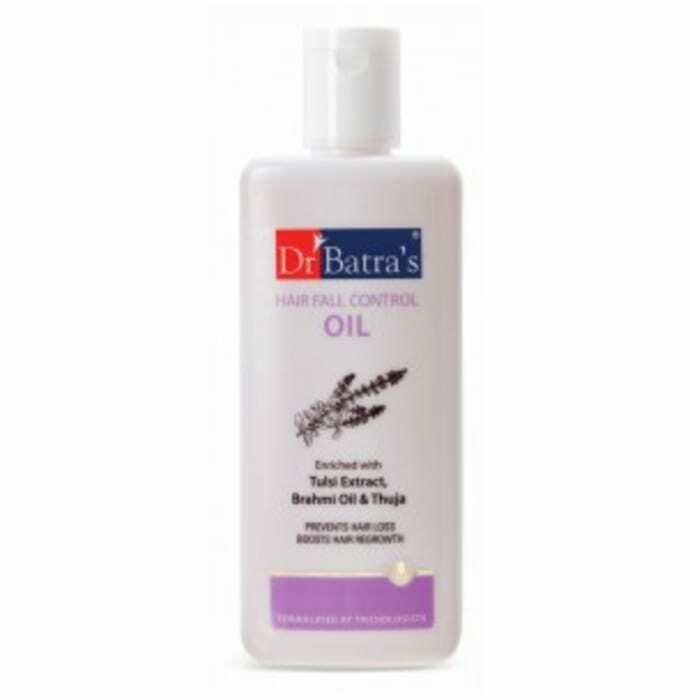 A licensed pharmacy from your nearest location will deliver Dr Batra's Hair Fall Control Oil. Once the pharmacy accepts your order, the details of the pharmacy will be shared with you. Acceptance of your order is based on the validity of your prescription and the availability of this medicine.